Turkey is a fastinating country with its breathtaking natural beauties, unique historical and archaeological sites, a tradition of hospitality. For centuries,Turkey has also been a crossroads of religions, not only of Islam and Christianity, but also of many others now forgotten by history. From the spectacular landscapes of fairy chimneys in Cappadocia to the bustling metropolis of Istanbul uniquely located on two continents and the amazing blue waters of the Mediterranean and Aegean coastal villages, to the best preserved Roman city of the world, Ephesus and the travertine terraces in Pamukkale with fascinating thermal pools - Turkey offers her travelers a rich blending of the ancient and the modern. Throughout her 10.000+ year history, this land has been coveted for both the vital strategic location and astounding natural beauty. Major and minor civilizations have settled and been replaced, each leaving their unique legacies of cuisine, music, culture, architecture, religious symbols and traditions to be woven into the Turkey of today. We are sure that each trip is a “once in a life time” experience and it should cover all your must-see places or must-do activities. That's why, we specialize in helping you to tailor-make a trip that perfectly suits your tastes, styles and temperament. We will create tailor-made itineraries that best suit your personal choices and travel criterias. 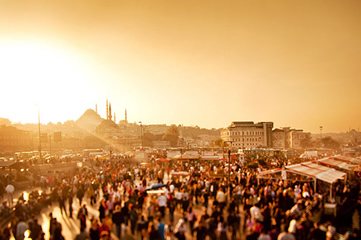 You can easily arrange your Istanbul Tours, Cappadocia Tours and so many more with our travel advisors. We have too many tour and activity options that we do not list all on our website not to puzzle you. Our travel advisors will assist you in each stage of your travel process; from organizing all travel arrangements including accommodation, airport transfers, domestic and internationalflights, guiding service, to providing information about the places on your itinerary and ensuring your safety and comfort with special suggestions, actions and private care. Please do not hesitate to contact us ( info@turkeyboutiquetour.com )for your travel needs, questions or special requests and we will reply your request the latest in 24 hours.